His funeral will take place tomorrow morning in the Sacred Church of Saint Nicholas in Konitsa. 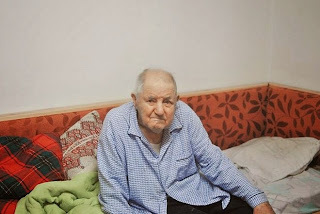 One day after the great feast of Christendom, Christmas, 96-year-old Raphael Eznepidis died today, who was the brother of Elder Paisios (Arsenios Eznepidis in the world), widely known for his life and work, and has already been proposed to be classified in the List of Saints of the Orthodox Church. The elder Raphael Eznepidis lived bedridden with his wife and one of his children, Christos. The Eznepidi family had fled the Asia Minor catastrophe from Farasa of Cappadocia and settled in 1925 on the border of Konitsa. Simultaneously another child was added to the eight member family, who was named Arsenios by his godfather St. Arsenios of Cappadocia. Elder Paisios (+ 1994) is undoubtedly an important figure of monasticism and his words have left an indelible mark over the years, and are an important asset for us all.